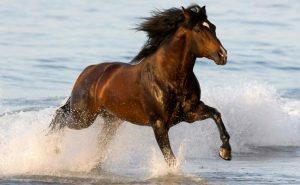 Ride miles of beautiful sun-soaked white sandy beaches of historic Amelia Island, Florida on the Original Plantation Horse – the Tennessee Walking Horse. If you’ve ever wanted to go horseback riding on the beach, we’ve got the perfect opportunity for you! Visitors to Amelia Island looking for things to do on our laid-back shores won’t find a better way to enjoy the miles of rolling dunes and beautiful shoreline than horseback riding on Amelia beach. When it comes to traveling on horseback, riders would be hard pressed to find a gentler companion than a Tennessee Walking Horse. The breed is famous for its calm demeanor, and steady and even gait. This makes the horses at Happy Trails Walking Horses LLC perfect for when you want to hop into the saddle and enjoy a beach ride on Amelia Beach. You will be treated to what the stable owners refer to as the “Cadillac of Rides” with these beautiful animals. Once you’re settled onto one of our beautiful Tennessee Walking Horses, you will be able to enjoy the breathtaking views found here on Amelia Island in Nassau County, Florida. Whether you are looking for a romantic beach ride with your sweetheart or a guided trail ride to explore Amelia Island, your beach vacation won’t be complete without a horseback riding adventure with Happy Trails Walkers. Should we have to cancel due to rain, you can either rebook on another date available or request a refund. 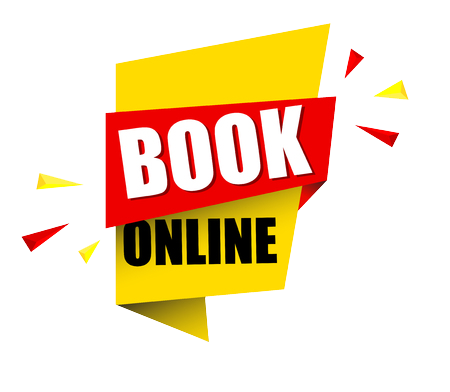 To re–book, send us the last name you booked your ride under with the date and time of the canceled trip. Then also send us the date and time you want to rebook for. You will get a confirmation reply when we make the switch. Explore the white, sandy beaches of Amelia Island on horseback! Learn more about our one-hour beach rides here. Ready to explore? Click here to confirm your reservation for some of the best horseback riding in Florida. Get inspired by our beautiful horses and breathtaking views. View our photo gallery so you’ll know what to expect on your next beach or trail ride. When you’re ready for your trip, be sure to sign our waiver form, so you’ll be all set to enjoy your horseback riding adventure.